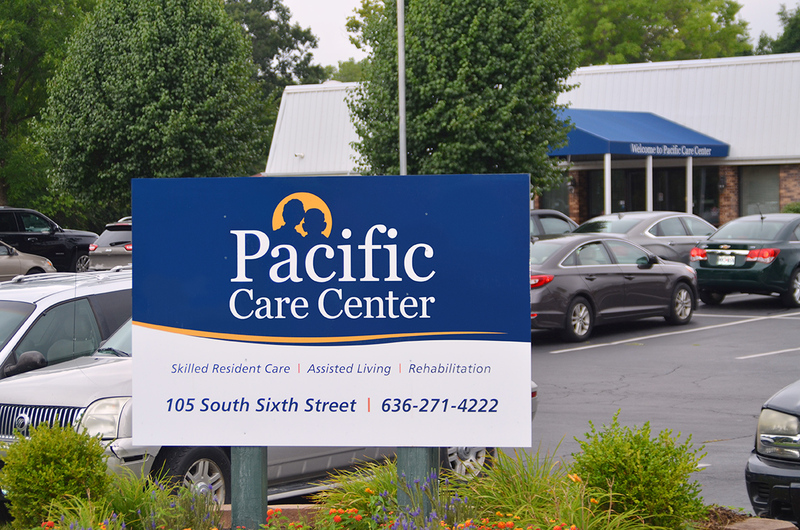 Leinicke Group rebranded Pacific Care Center, a skilled nursing center, to better reflect its dedication to compassionate and individual care. 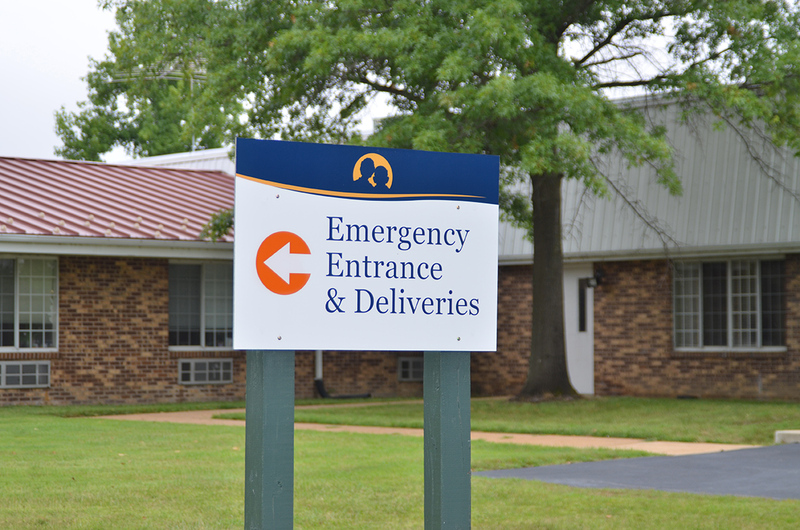 Then recently Leinicke Group designed and installed new signage at the Pacific Care Center campus in Pacific, Missouri. 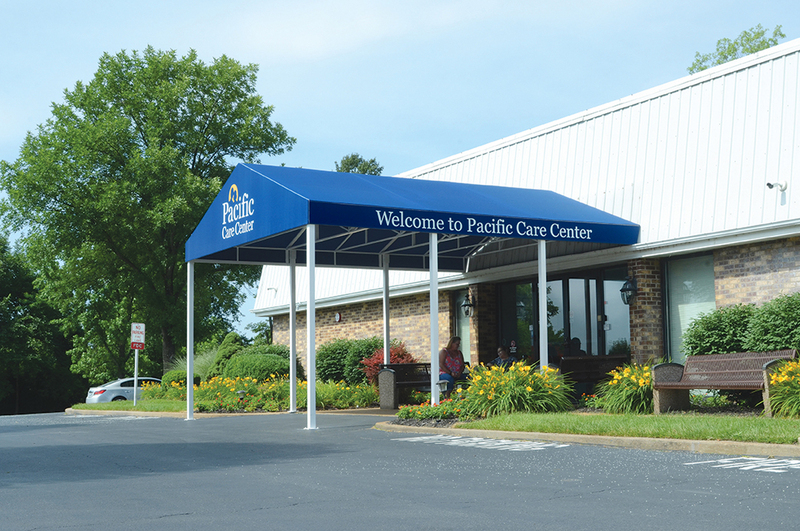 The new branded awnings offer strong visuals to both Pacific Care Center’s main entrance as well as The Terrace Assisted Living entrance on the campus at Pacific Care Center. The blue awnings provide great visual contrast to the white buildings, making it easy for visitors to identify the entrances. The awnings are made of fire-resistant fabric, and the supporting structure is made of painted aluminum posts anchored in concrete. 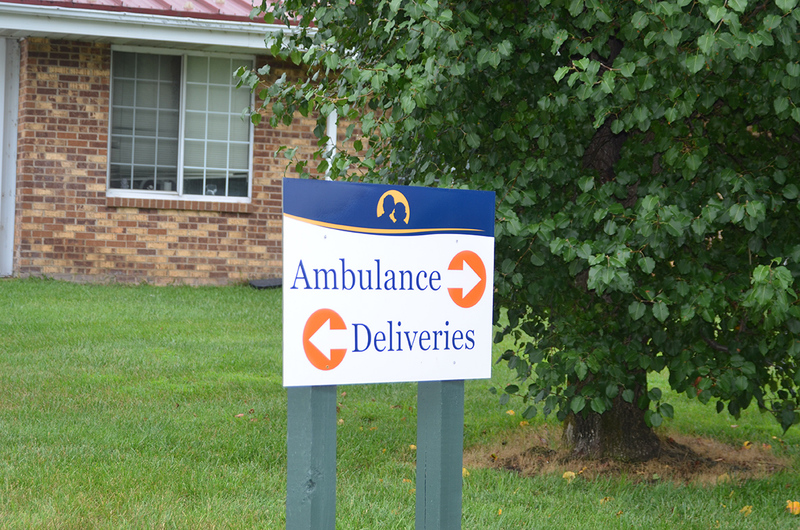 Directional signage throughout the campus was designed to facilitate visitor, delivery vehicle , and ambulance traffic. Printing directly onto the aluminum composite material allows for great color performance and eliminates any chance of peeling layers of vinyl. 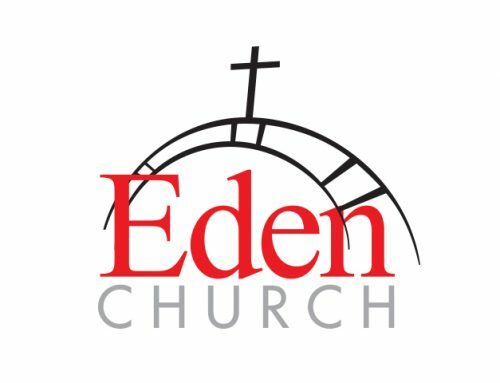 The new look utilizes a brightly colored logo, which is supported with soothing graphics and color palette for each of its three areas of care – Skilled Nursing, Rehabilitation, and Assisted Living.